A toothache is never fun, and unfortunately it often indicates that something more serious is affecting your oral health. Here at Bagoff Dental Arts serving West Orange, NJ we offer a full spectrum of toothache treatments and services. If you need an emergency dental work, a cavity to be filled, or a root canal to treat your tooth pain we have you covered. Learn more about toothaches to determine if you need to seek professional dental services for treatment. If you have a toothache it could be caused by a number of problems with your oral health. However, the most common reason for a toothache is tooth decay. A tooth might be decaying due to a cavity or infection, which is easily treatable at your dental care provider. A more advanced stage of tooth decay is related to an abscessed tooth. This more serious dental condition may require you to have the abscessed tooth removed. Should I See My West Orange, NJ Dentist if I Have a Toothache? Generally, yes, you should see your West Orange, NJ dentist if you have a toothache. This is because a toothache can be a symptom of inflammation or infection. If you have an infection in your tooth this can spread to your blood and lead to sepsis, which is a fatal medical emergency. You may also be dealing with a dental cavity that has experienced trauma. What starts out as a toothache could quickly lead to a dead root in your tooth. If this happens you will most likely lose your tooth permanently. Do I Have Gum Disease If My Tooth Hurts? You could have gum disease because of a toothache, that is one possibility. While not every toothache is connected with gum disease, this could be an indicator that you have early onset gum disease. If left untreated your gum disease would likely develop into gingivitis, which is a serious tooth infection. Gum disease related to toothaches can be treated effectively so that it doesn’t advance and turn into gingivitis or periodontal disease, which is associated with permanent tooth loss. Here at Bagoff Dental Arts we offer dental care for patients with toothaches. 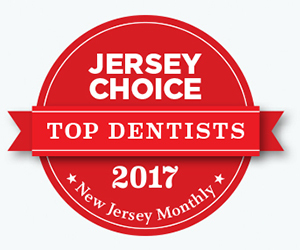 We recommend seeing your West Orange dentist in any instance of toothache. This will help alleviate your pain and prevent long term damage to your oral health. Contact Bagoff Dental Arts in West Orange, NJ today to schedule an appointment to see a dentist for toothaches.